The University of Manitoba Hockey Coaching staff would like to invite all minor hockey coaches in the novice, atom, peewee and bantam levels to join us for our first ever Minor Hockey Coaches Clinic. The clinic will cover an off ice speed warm up session with Bison Men’s and Women’s Hockey Strength & Conditioning Coach Matt Asmundson. 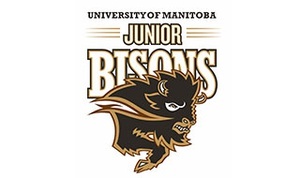 We will have on ice practice implementation tips with Bison Hockey Coaches Jon Rempel, Mike Sirant and former NHL defenceman Ryan Bonni. The final piece of the clinic will be classroom presentations by Mike Sirant, Ryan Bonni and Jon Rempel followed by an open forum Q&A period for minor hockey coaches to ask anything you wish!